Research shows 50% of online users expect personalization, but 60% of marketers find data-driven personalization to be their toughest challenge. Join sales and marketing operations leader Sean Passanisi to learn how Udemy implemented smart automation to close gaps in sales ops processes. See how the company saves hours of manual labor, rapidly sets up and provisions closed-won opportunities, enables its sales team to sell more, and captures hard savings in the process. You’ll learn how Udemy integrated critical components of its technology stack, including CRM, quote management software, and payment processing to solve a key operational pain point and move faster and more efficiently going forward. Join author, speaker, and marketing insights leader Mathew Sweezey to unpack the relentless changes in the marketing automation landscape. See how marketing automation is becoming more contextual for leads that expect customized, just-in-time messaging; more connected across multiple platforms and devices; and more complex. You’ll learn how to leverage Automation 2.0 with tools and strategies that will keep you ahead of these constant changes...and ahead of your competitors. 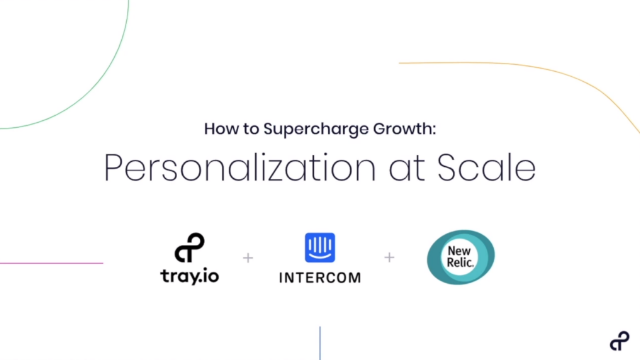 Hosted by Alex Ortiz, VP of Marketing at Tray.io.